Purity is a highly respected and award-winning brand of premium elixirs from America, which has become a firm favourite in many households around the world, renowned for its quality and variety, flavour, and of course attention to detail when manufacturing their juices using only the finest ingredients available on the market. They have sent me a sample to taste and review of their current line up of twelve tobacco flavours. Handcrafted to guarantee the best possible personal vaping experience by using only the finest ingredients from the world’s respected flavour houses and meeting the exacting standards set by the USP, which is recognised in over 130 countries around the world. This range of E-Liquids are manufactured by highly skilled chemists in their FDA-registered laboratory, you begin to understand why they selected the name Purity! The nicotine used is created from scratch in their US laboratory also, meeting with good manufacturing practices assuring proper handling of the product at all times and tested again before its final release to ensure precise nicotine concentrations in each and every batch. All Purity e-liquid is manufactured using the highest quality USP grade Propylene Glycol (PG), Vegetable Glycerin (VG) and Nicotine available on the market today. They have also removed Diacetyl and Acetyl Propionyl in all of their flavours, routinely lab testing them to ensure that these chemicals are not in any way present. Purity’s tobacco range of E-liquids has been carefully crafted to give the consumer the best possible flavour in a variety of delectable blends, and always with your safety in mind. I have reviewed these three juices over a period of one week on two different manufacturers VV/VW devices as I normally do in these reviews. These include the Innokin iTaste SVD 2.0, along with the eVic Supreme 30w. I have also used a combination of two different tanks. The latest Kangertech SubTank Hybrid OCC (RBA) the Kayfun Lite, in varying combinations, using the ranges suggested in the chart supplied here for added consistency. I have also vaped the supplied E-liquids at 25w using the Kangertech RMT (RBA) in combination with the eVic Supreme. I believe that this will give both the retail supplier and consumer a fair and accurate assessment of the flavour and vapour production, as well as the throat hit this brand produces, which is important when considering stocking this range or purchasing them for your personal vaping pleasure. I also steeped them for one week before testing, allowing the full flavour to come to the fore. Every Purity e-liquid bottle is safety sealed with a child resistant cap incorporating a standard push and turn design. Also, their 30ml bottles are provided with a tamper evident seal ensuring the integrity of the liquid inside. All Purity bottles are also labelled with standard safety warnings, nicotine concentration, “best by” date, and a unique Lot Code indicating the batch from which the liquid was derived from. The Purity Tribeca tobacco flavour comes in both 7ml & 30ml glass bottles including a glass pipette dispenser with a child proof plastic cap. Prices start at $5.99 for the 7ml bottle, and you will need to add $14.00 should you wish to purchase the 30ml sized bottle. Tribeca is a sweet tobacco flavour reminiscent of an exquisite RY4 with distinct undertones of tobacco including top notes of vanilla closely followed by what appears to be caramel. What I like about this blend is that the sweetness applied never takes away from the nicotine flavour left behind on the palate, and never too sickly sweet either. It is also similar in taste to maple syrup with tobacco undertones as well making it difficult for me to detect accurately the higher sweet notes exactly, but a very nice experience none the less! Tribeca E-liquid delivers a smooth but solid throat hit, and excellent vapour production. On a personal note, I found it to be at its best when vaped at warmer temperatures. Purity’s range has clearly spared no expense in setting unparalleled safety standards to guarantee the safest possible vaping experience when using their Premium line of E-liquids. Presentation and labelling of the glass bottle are both clean and detailed giving the consumer all the information that they require about a particular juice flavours contents along with its nicotine levels including an expiry date that is an important consideration when taking into account a product’s shelf life. Also, the use of a glass bottle and matching glass pipette dispenser helps to safeguard against the possibility of Leeching. The nicotine range is extensive offering a much-needed 24mg for the heavy smokers and those who prefer hand-rolled tobacco, helping them make the transition over to a safer alternative to the traditional cigarette. It would be nice at some point for them to include a pipe and cigar flavoured line of E-liquids given their experience of developing excellent elixirs and increase what is already a very extensive range? 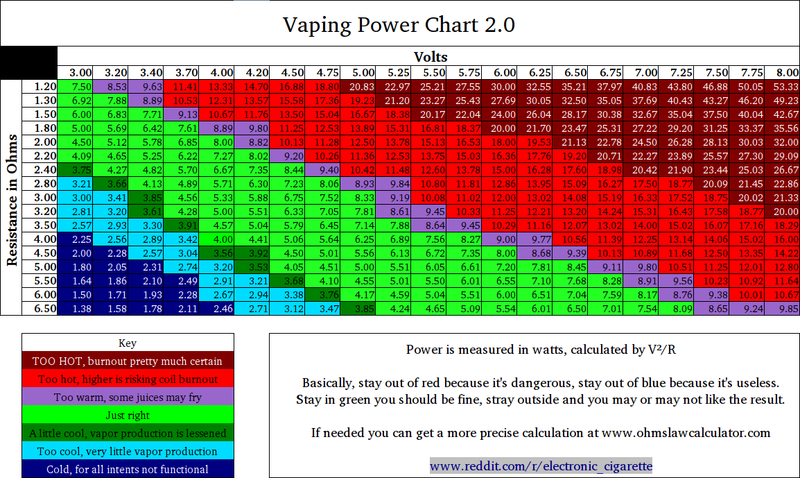 Vaper production was excellent using what appears to be a well balanced VG/PG ratio. Throat hit is both solid yet smooth using the supplied 12mg I have used for this review. The flavour of this particular juice was a pleasant experience giving a clear presence of tobacco nicely rounded off with a sweeter note making it a comfortable all day vape leaving behind a sweet aroma. Their online website is one of the best I’ve personally seen. Tastefully designed, informative and very well laid out giving the consumer all the relevant information about a particular juices makeup and if that’s not enough to help guarantee customer satisfaction they have a live online help service to help you too. My personal dealings with the company have been extremely helpful and friendly at all times while maintaining a professional approach. The price range makes these juices magnificent value for the money, especially when you consider the level of detail that goes into making them. I hope over the coming months to add to this review with some more fine tobacco flavours in the Purity range for you, but for now, that just about wraps up this review. So if you haven’t tried out this line yet be sure to give Tribeca tobacco flavour or any other of the tobacco flavours that grab your attention a try. For further details on this range of flavours and any other Purity products, please use the link below to their website.